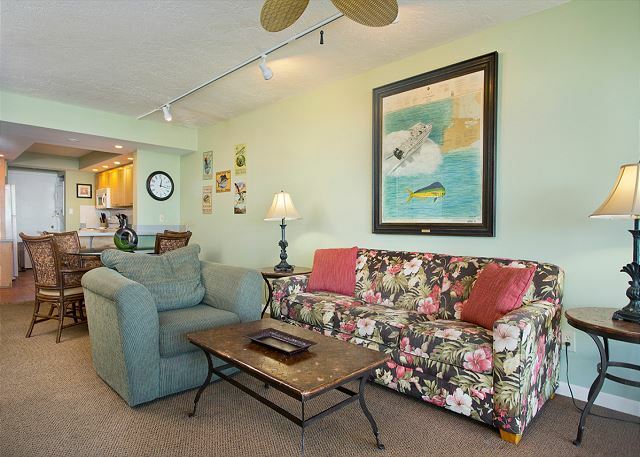 I chose the condo rental based on it's location away from the downtown scene. The unit is clean but dated, and previous patching and repairs are evident. The view from the balcony overlooking the marina is nice. Ambient noise on the balcony and residual cigarette smoke can effect the experience. The property is located across the street from the fire station and in the flight path of the airport. Although the property is in good condition considering the damage from Hurricane Irma, there are some improvements that can be made. The sleep sofa, carpet, and blinds in the unit need to be replaced. Also a dehumidifier would help the air conditioning system's efficiency and increase the comfortability of the unit. Regardless, the unit was comfortable enough and given the opportunity, I would stay there again. 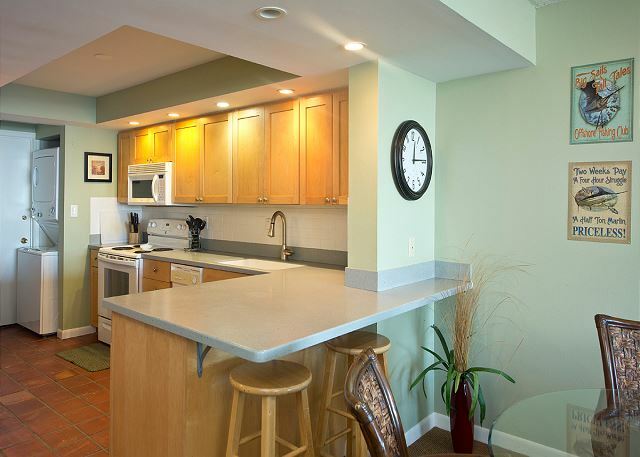 We stayed in a two bedroom two bath condo for five nights. The location was ideal. We had a beautiful water view looking out at the boats in the harbor. We cooked outside on their BBQ grill thats located near the heated pool. They have bikes you can rent right there. The six of us had fun bicycling around Key West for two days. Duval Street is always a fun area. You can eat, drink and go shopping. This was my third visit to Key West. The complex is older and could use a little fixing up. I would still come back and stay here. 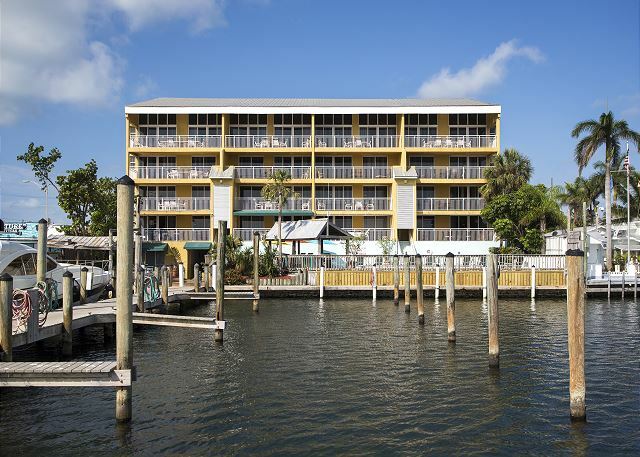 We've stayed at Pelican Landing many times and will continue to go back. 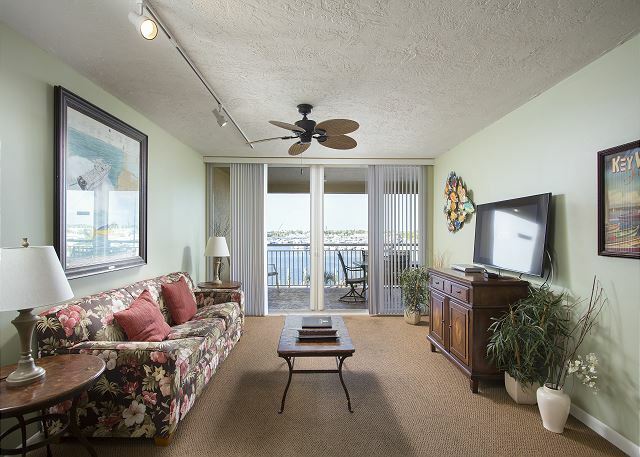 It's always clean and comfortable with a great view of the harbor. It's so nice to be within walking distance of Duval but far enough away to get a quiet night's sleep. We had a great time in Key West staying at the Pelican Landing! Overall, the property was very clean. I only gave it 4 stars though because the carpet needs to be cleaned. The management staff was very friendly and helpful with renting bikes, etc. I would recommend this property to anyone! We went to Key West with friends to unwind after the Christmas holiday. The property was a great size for 4 people. The patio overlooked the marina and was relaxing. You did hear the road noise if you were sitting outside. They had cruiser bikes on site to rent and we took advantage of this amenity. Overall, happy with location although the inside did need updating, it did have everything you need. 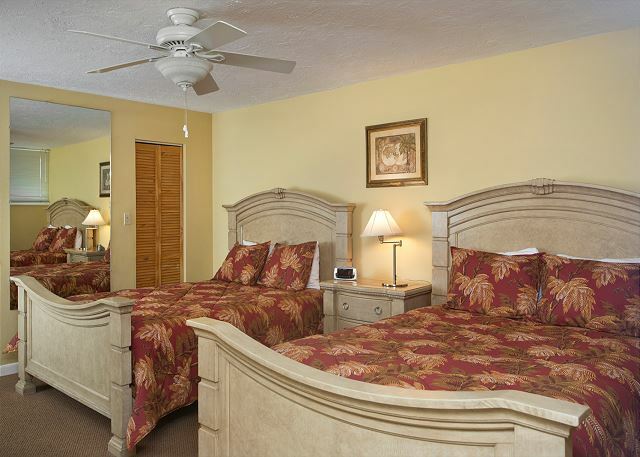 clean, well maintained and comfortable-plenty of room and amenities for the four of us. Our Air conditioner froze over and the crew had it fixed in less than one hour. This is our 7th or 8th time staying at the Resort and we are always satisfied. Our room had some water stains on the carpet by the sliding glass doors. I assumed it was from Hurricane Irma but the room was clean with no smell. We will be back again! The two places rented was the perfect size for 16 people. 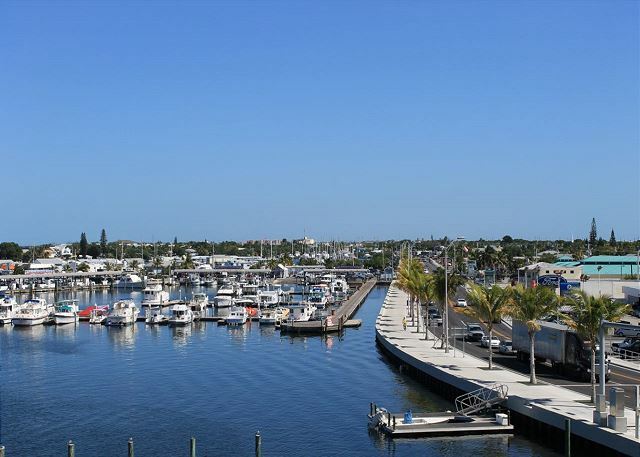 It also is in a good location for bike riding around Key West. A little to far for walking. It is great when you go to paradise and your accommodations are perfect. 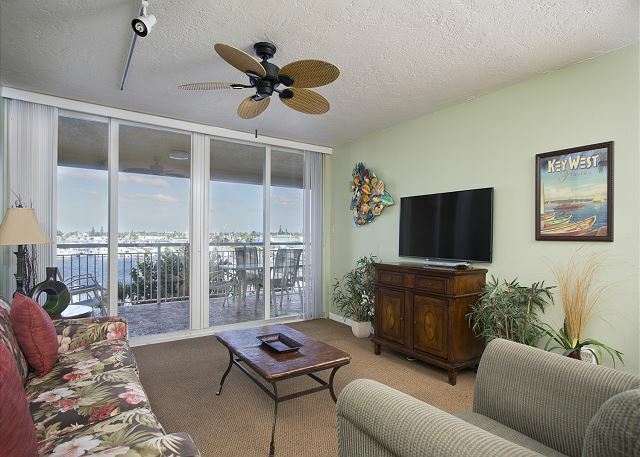 Pelican Landing was clean and provided all of the things we needed for a perfect vacation. Overall Nice Experience. Entry/Kitchen floors need to be updated. Nice and clean appliances. Balcony is nice with an OK view. As advertised and we were pleased overall. Central A/C in one unit not 100%, but adequate for the comfort level needed to sleep at night. We had an amazing stay we came by boat and the docks were up to par and we also made good use of the ice machine on the property for our daily fishing trips everything was set up perfect for loading and unloading our fishing gear etc.... The staff was very very kind and took top notch care of us.... Loved pelican landing and will definitely be back. Thank you for the great review Ms. Kelly! 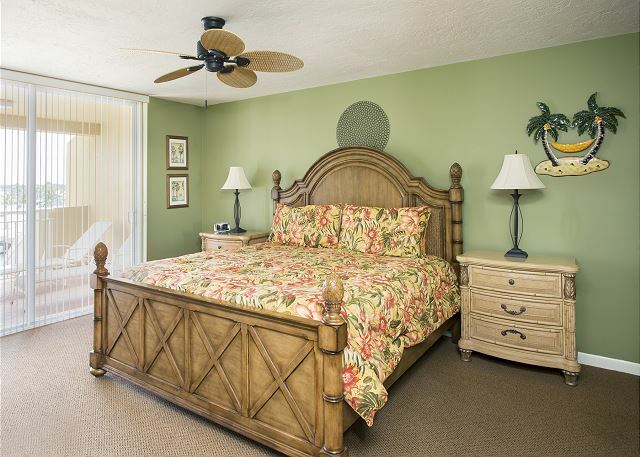 We strive to provide the best experience possible for our guests, and love our repeat guests. Let us know when you are ready to book again. Spent a week at Pelican Landing. The accommodations were excellent. The beds were comfortable, the kitchen had all the necessary equipment to cook and the place overall was great. the rooms where clean and well maintained.two minor problems,they were taken care of quickly and professionally.A good place to stay. 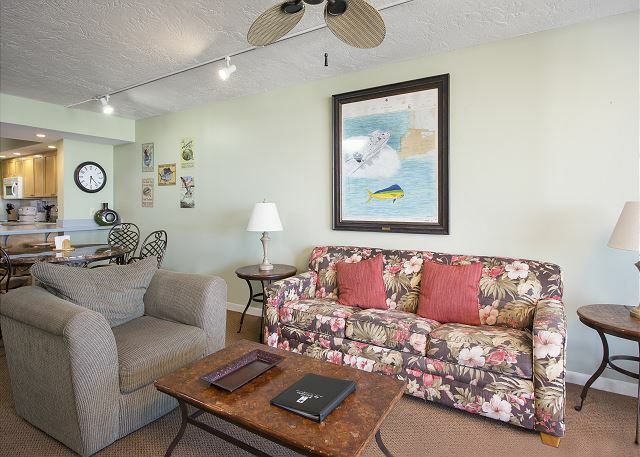 Was visiting Key West for work and needed a comfortable, roomy place for my co-worker and I to stay and also have room in a common area for work. The location was perfect for us. Reservation process was a bit inquisitorial. Otherwise apartment was ok, spacious, service was professional. Toiletries would have been helpful. Unit was very clean, comfortable, pretty view. It is off the main action area, which is good, but yet easy to get to all the action. 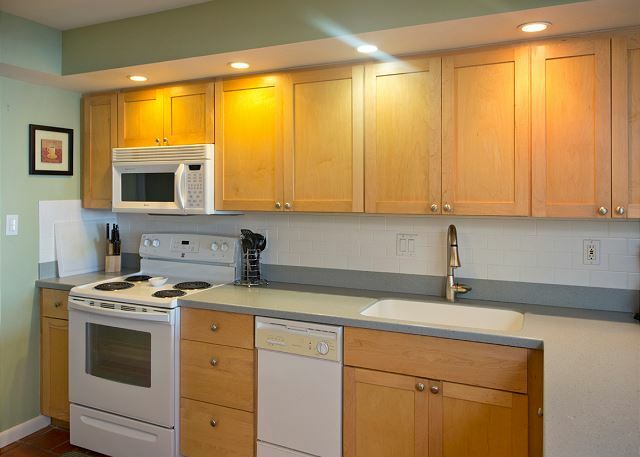 The kitchen is a little sparse on utensils, dishes, etc. if your doing any cooking. The property was overall a good deal for the money. The only real draw back was the distance from Duval street (the heart of Key West). Not really walking distance for most people. If your planning on doing any drinking the cab for four people to Duval st. was $18 one way. The rooms were reasonably clean and the beds were comfortable. The blinds in the master bedroom were broken upon arrival, and a few other signs of renter abuse, but I've seen worse. The kitchen was adequate. The view overlooking the harbor was nice. Outstanding weekend. Staff was great and very helpful with questions. Would certainly stay again. We were visiting Key West for a wedding and wanted a place to stay that would have a lot of room and this is it! The building is not the most beautiful from the outside but we were happy once inside with the furnishings and the view. They provided dishes, pans, shampoo, towels, detergent, dish soap, etc and the room was clean. 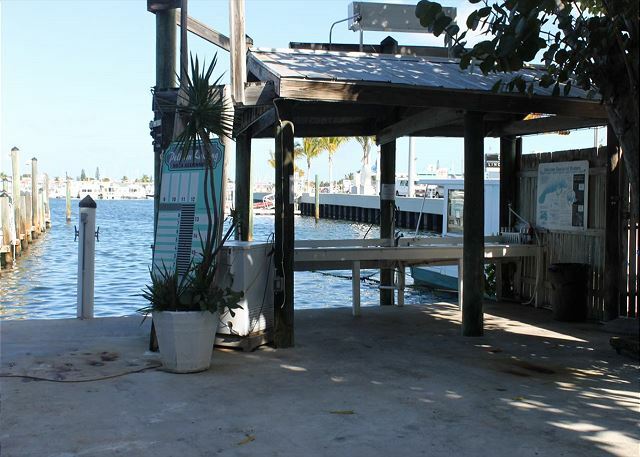 This is about a mile from the main key west attractions so it is a long walk or a short car ride to get there. The property was easy to find and had good parking facilities. Staff very friendly. The apartment itself was nicely laid out with two large bedrooms both ensuite. The kitchen was well stocked and with the utensils and pans provided was easy to cater for yourselves. The balcony was lovely with a great view from harbour. The apartment was clean. It had a nice heated swimming pool, plenty of sun loungers and barbecue area this could have been a little cleaner. It was about half hour walk to Duval street , this area had most of the restaurants although we did try the floating Thai Restaurant which you can see from the apartment and this was very good. Such a phenomenal experience. The rental very clean and pristine, which made for a great trip. Wish we could have stayed longer! It was a nice place, the only problem we had was air conditioner, carpet could be cleaned were was a lot of spots from spills. other than that it was a great place. Hello Agne, We are glad you enjoyed your stay. Thank you for the feedback we greatly appreciate it. The a/c is repaired and the carpet is scheduled for cleaning. Hope to have you and your family stay with us again soon. WE HAD A GREAT TIME AND APARTMENT WAS CLEAN AND COMFY. We had a great time on our trip and enjoyed our stay at Pelican Landing. Nice rooms and condo. Carpet very stained however in living room. Pool light was out during our evening swims and did not know how to turn on. It was within pool access hours. 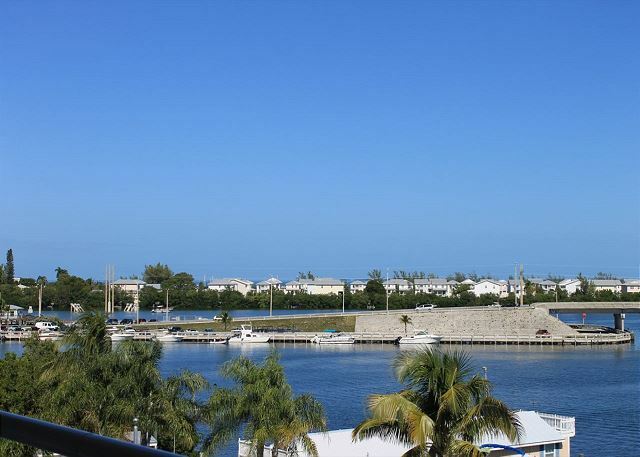 We recently stayed at Pelican Landing in the Bermuda Retreat and thoroughly enjoyed our stay. 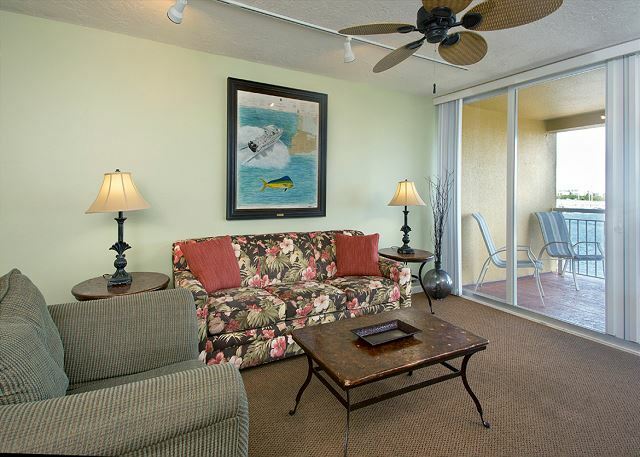 The large lanai (with access from Master Bedroom) was delightful! The view of the gulf and marina was very relaxing. This property is in a great location! 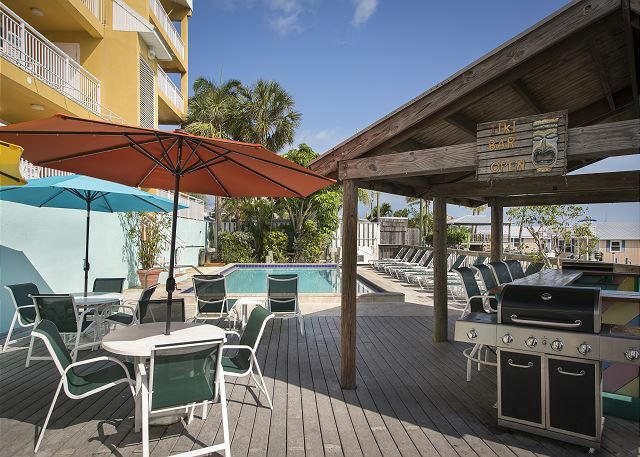 It is just a short drive to Duval Street and all the Key West shops and restaurants.The condo is spacious, clean and well organized. We would stay again! Nicely furnished 2 bedroom with great customer service. 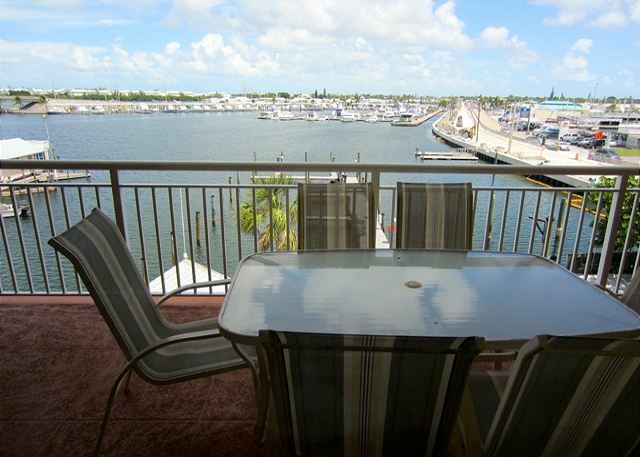 A pleasant, economical, place to stay in Key West, away from the center, located on a pretty marina. Nice balcony. Good for a family, because of the kitchen facilities and washer/dryer. This unit needed some very minor improvements--more pots and pans, new shower curtain, updated faucets in bathroom. We walked to the floating Thai restaurant, which was really fun, but otherwise we needed a car to tour around. This location was nicely located on the marina which gave a nice view from the balcony but was still quiet. The furniture was out of date and a chair was broken and the LR end tables had the veneer pealing of. The beds were comfortable but the queen sofa bed was not. The dishes were very minimum with the only forks being small salad forks. We found out not to use the noisy washer and dryer at night because it cause the condo below us to complain to management that we were too noisy. This placed was located about 1.5 miles from Devall street which wasn't a bad walk going but got a little long coming back long. Renting a bicycle is a nice option for getting around the island. A must see dining experience was at Santiago's Bodega, great for groups and good food and service. The operators of The "Scarlet Rose" made our first deep sea fishing trip fun even though we caught only 4 fish which they cleaned for us. Great stay at an affordable price!!!! 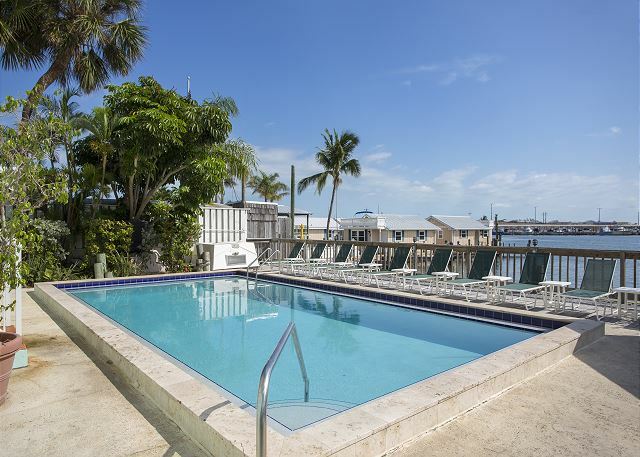 My family needed a place to stay in Key West for the christmas holidays but all other places were booked. 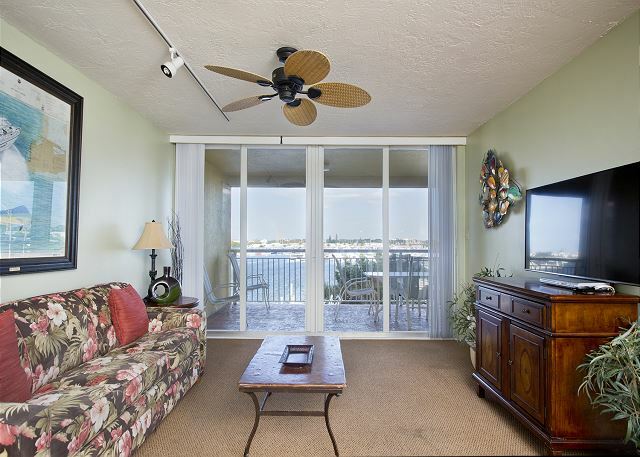 Pelican Landing was able to accommodate us last minute! 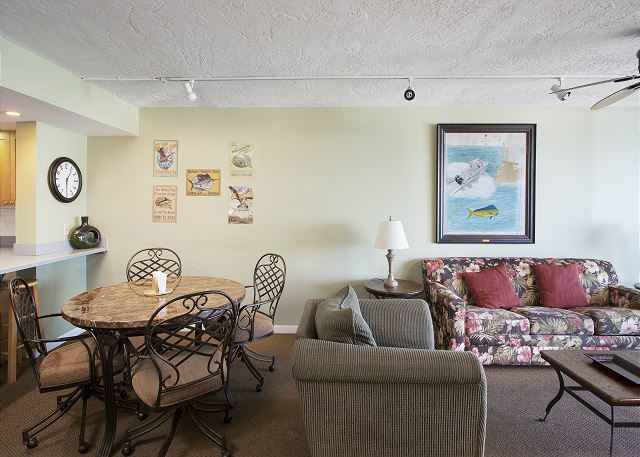 Place was very spacious, very clean and has great access to downtown. 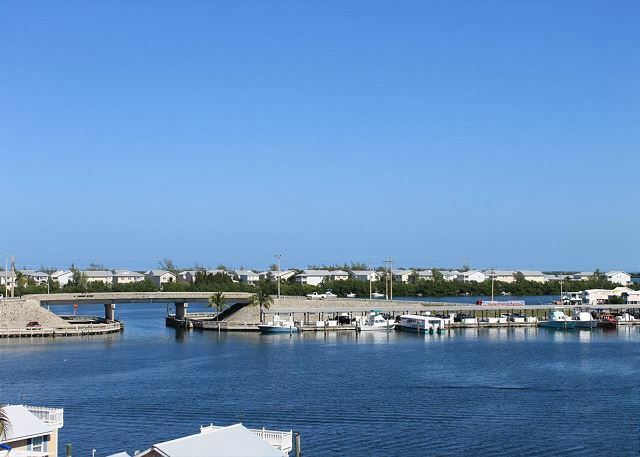 Location has dock access and parking is available on the property. There's also a dog park nearby. I highly recommend this place. Pleasantly surprised at the cleanliness of the unit. Check in time was limited to 1 hour time frame, not so convenient. Liked the fact that I could take my small dog along, but "pottying" area is limited if you don't walk to the park. Everything was great! would stay here again. Très bonne expérience, appartement spacieux et bien équipé. Très belle vue sur la marina. We had a very nice stay. We will come again ! Property was very clean. Staff worked daily maintaining property. All staff courteous and went above satisfying their customers. Would highly recommend this property. 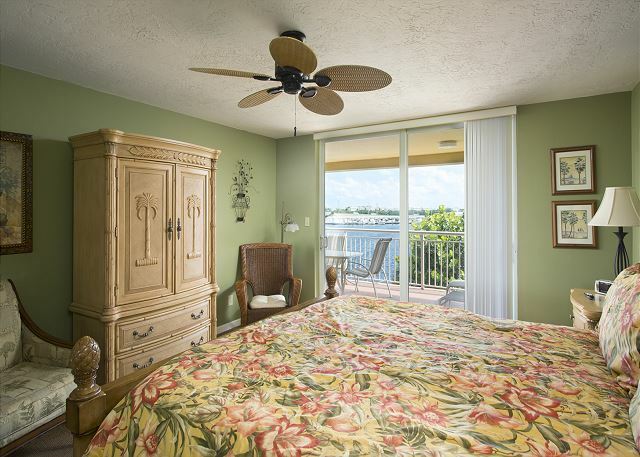 Picking a place to stay based on Internet pictures can be a nightmare...not so at Pelican Landing! The Bermuda Retreat was actually even better than we expected. The staff was wonderful...gave us wonderful dining suggestions and helped us procure electric cars for our visit. The unit itself was clean as a pin, and had everything you could want. 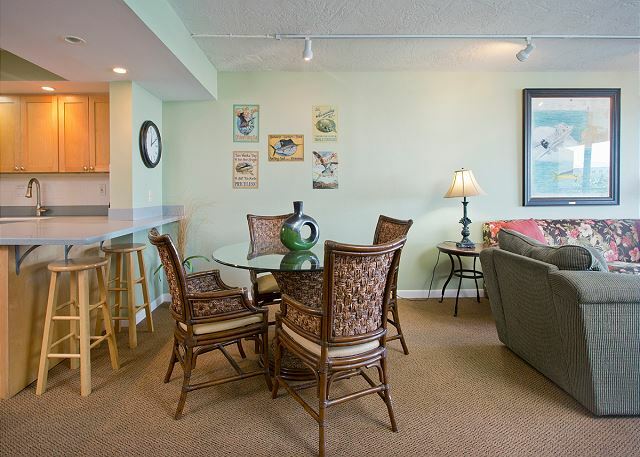 Very quiet location to come back to after you've partied the evening away on Duval Street. 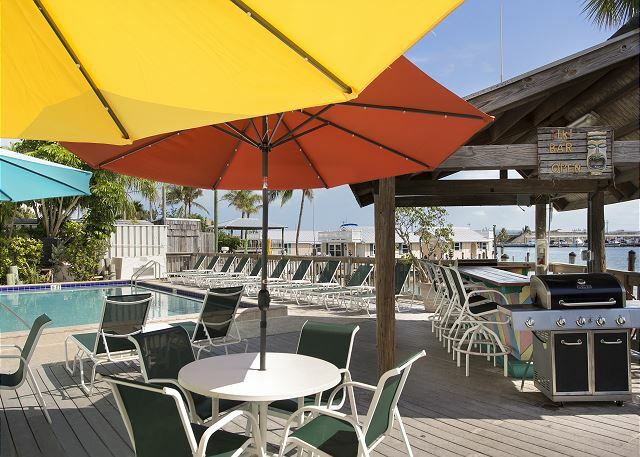 We can't wait to come back again on our next Key West vacation! Wonderful vacation. Only bad thing we have to say is that the elevator smelled horrible. Other than everything else was fantastic. Would stay again!! Beautiful room stocked with anything and everything you need. Thanks! TO STAY. ROOMS R NICE AND CLEAN. Came in from Miami with 14 girls and stayed here for one night. Check in was easy as everything was pre-paid, and we were luckily able to check in earlier than the set 4pm check in time (thank you). Felt safe knowing that you need a key to get up the elevator. Rooms had nice views. Location was convenient and only a $3 cab ride to the Square (per person). Only thing that I disliked was the threat of being charged extra if dishes/coffee pot were left dirty and garbage was not taken out. That was tacky and felt a bit nickel and dimed. I paid over $700 for two "retreats" for one night and I had to take out my own garbage? Kind of silly. Would make more sense if we had been staying longer I guess. Maybe. All in all though, we'd stay here again. All went well, very smooth.Firehouse across the street was very noisy, only drawback. We were pleased with the unit - location, size, view, cleanliness etc but the unit's furniture was heavily dinged and scratched, carpets were badly stained, old TV's. This could be a beautiful unit with a bit of money spent updating it. The Pelican Landing Bermuda Retreat in Key West, FL, was an excellent property. I will stay at this location again. 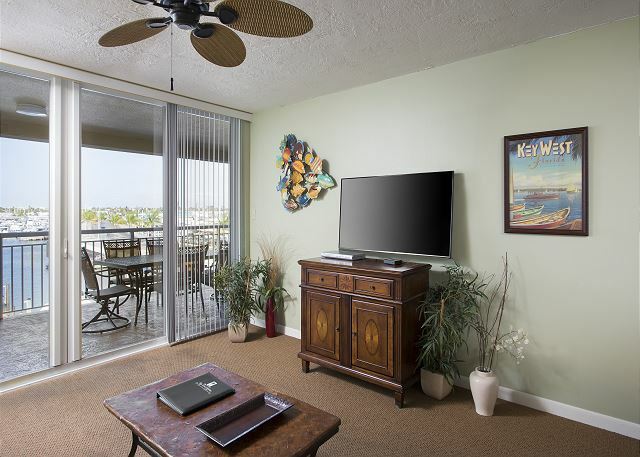 Many other Key West 2 BD units required a 5 night minimum but Pelican's Landing did not. Good location on water and main street, but you have to pay the price for it with the early morning and late night noise. Facility was very clean and nice and the rental agent was on site. Good parking, we rented scooters which was great as they had pick up and delivery. Room (3030) was updated and had great new mattresses and bedding but nasty carpet. Ask about housekeeping...we had fresh towels and beds made the first night only, nothing the last two. 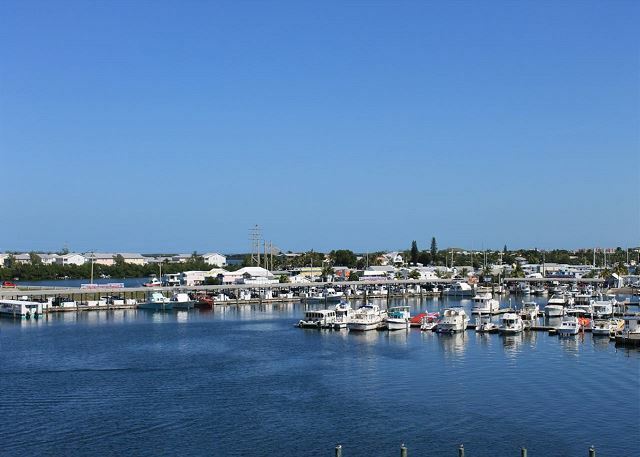 Great marina area, highlight of trip was viewing the manatee and feeding the fish off the dock. I was happy with my stay at Pelican Landing. Very close to Duval St. Definitely recommend this place to friends and family. Will definitely being staying here next time. Checked in on a Wednesday and out on a Friday. For the price, the room far exceeded my expectations. The rooms were spacious and the apartment had everything we needed from extra pillows to cooking utensils and my favorite, a washer and dryer in the unit. My only complaint is that as soon as we opened the fridge a disgusting rotten fish smell filled the room. This wasn't just a little bad odor, this was so bad we gagged, coughed and even wasted our perfumes and body sprays to try and cover it up. As if the smell itself was not bad enough, it was hard to store food or drinks because it was so utterly gross to even slightly open the thing. The smell lingered even after all windows and doors were opened. The place otherwise was super clean, well decorated and very accomodating. If it were not for that big fridge downfall, for the price range, it would be 5stars. The elevator was slow. Place was clean, had ICE to me that's big. Good for the money in Key West. A little far from town, but walkable. Nice size rooms. Could be a bit cleaner. It worked well for a family of 4 with teenagers.